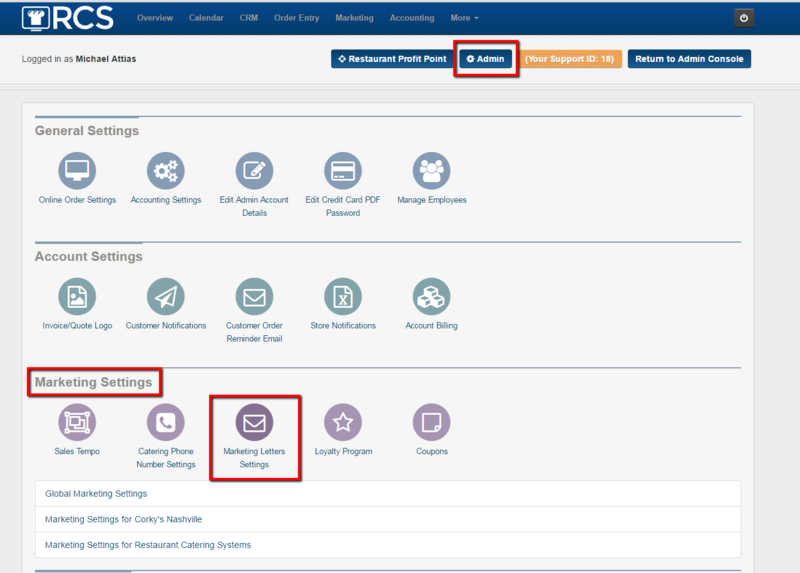 This article will discuss how to schedule a time to turn on your marketing letter settings and how to have your marketing letter graphics created. This is found under the Admin tab - Marketing Settings section - Marketing Letters Settings bubble. 2 - Please note that you can have different graphics and letter settings for each location that you have. Or you can have one setting and one graphic for all your locations. 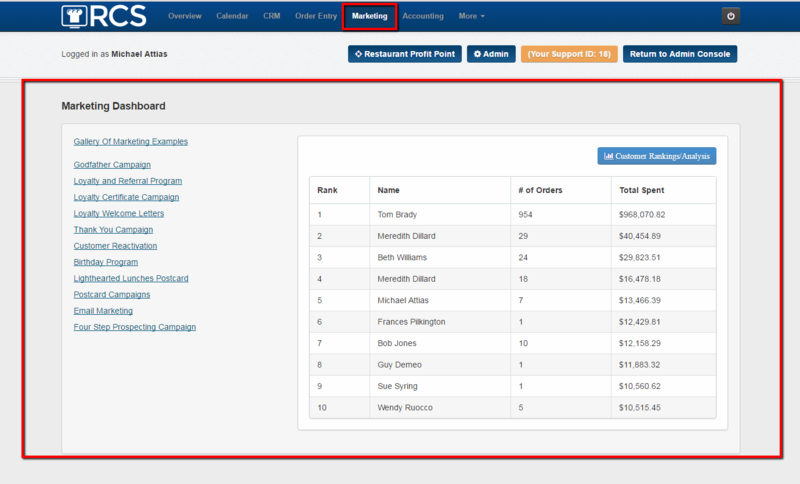 3 - If you click on on your Marketing tab you will a list of the different types of auto-pilot letters CaterZen has. 4 - If you click on any of the letters and see the message below, please note our auto-pilot marketing letters are available for you, they just have not been turned on. We will not turn on your marketing letters once you have met with Jillian. This is to make sure your marketing letters go out with a professional look.